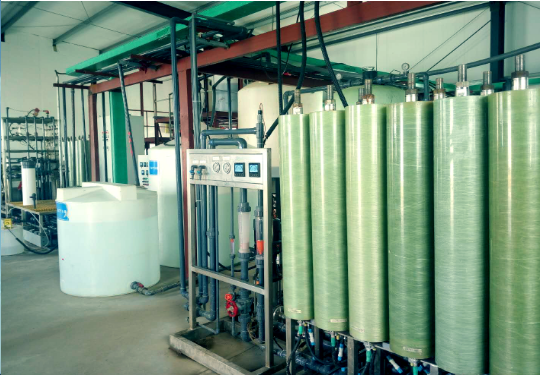 The leachate Zero Liquid Discharge(ZLD)system at the hazardous waste plant in Shandong province - Examples - Newater Technology, Inc. The leachate was complex in water composition and contained a variety of toxic and harmful inorganic and organic substances. There was 99 kinds of organic pollutants detected by technology. Twenty-two of the 99 kinds have been listed in the key control list by the National Environmental Protection Administration of China and the National Environmental Protection Administration of the U.S.A. One could directly cause cancer, and five could induce cancer. In addition, the leachate contained chlorinated aromatic compounds, phosphoric acid vinegar, phenolic compounds, aniline compounds and non-chlorinated aromatic compounds. The non-chlorinated aromatic compounds included naphthalene and phenanthrene, which were difficult to biodegrade. This project was a typical high-difficult sewage treatment case in China with complex water quality, high salt content (33×104 mg/L), high organic matter (9.5×104 mg/L), high heavy metal (arsenic 2.2×104 ug/L), high chroma, high suspended solids/colloids, etc. After numerous market inspections and communication with various water treatment manufacturers, the project owner chose our company. Having signed the contract on August 31, 2017, our company employed the process of “Advanced Oxidation + Evaporator + Membrane Treatment Unit + Carbon Adsorption + Ion Exchange Resin.” The equipment was delivered shortly to the project site. The commissioning started on October 10, 2017. Afterwards, we operated and managed this project. Today, the project is operating normally.